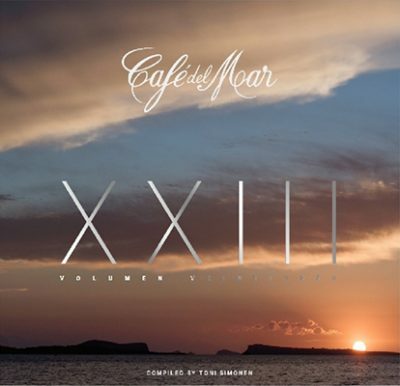 Café del Mar returns with a truly exceptional volume this year. Toni Simonen has surpassed himself with this wonderful compilation worthy of Ibiza sunsets. The album starts with a new rendition of Télépopmusik’s all time classic “Breathe” and takes the listener to an eclectic journey filled with Balearic beats. Volume 23 welcomes such legends as Brian Eno, The Cinematic Orchestra, Zero 7, Sasha and Bibio to the iconic series. Seasoned Café del Mar favorites Moby, Bonobo, Goldfrapp, Penguin Café and Blank & Jones are also present with brand new material. Expect a lot of sunshine, the best what downtempo has to offer and the reason why there’s nothing alike Café del Mar.